The Music Box Jumper is a very easy pattern (one of the easiest Oliver + S patterns ever written!) that comes together quickly and offers lots of versatility and plenty of options. We designed it with the beginning seamstress in mind. 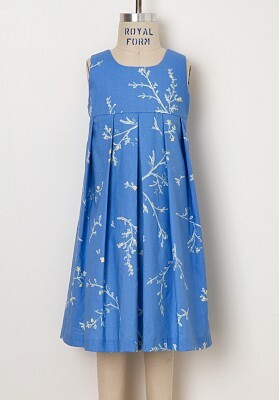 As a result, it makes a great project to undertake for learning to sew from a pattern. But its classic styling will be appreciated by sewists of all levels. The Music Box Jumper makes a great summer dress when worn on its own, and it also works beautifully as a jumper with a blouse or shirt underneath in cooler weather. 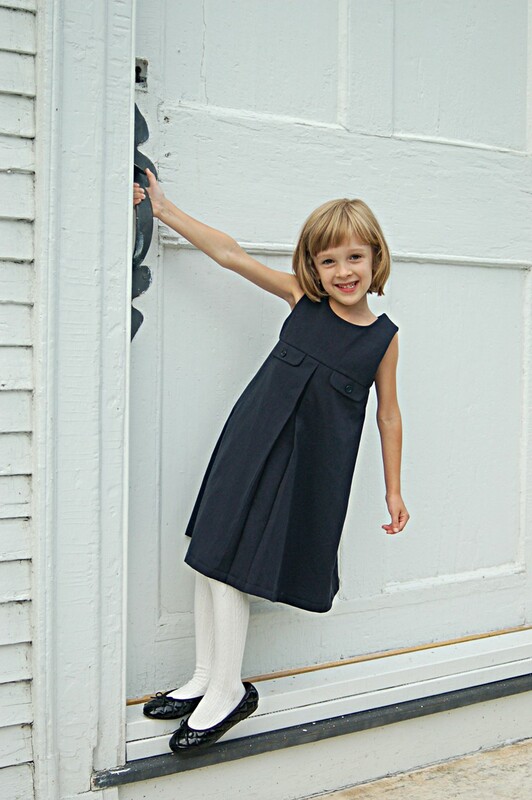 We’re also ready for school with View B, which includes little button tabs in the empire waist seam and a single inverted box pleat at the center front. I made this version in a sturdy cotton herringbone twill. It would also look great in linen, lightweight denim, and fine wale corduroy. I’ll be making many more of these jumpers this year, and I hope you will, too. I love the second “version” ! So chic ! I think View B is my favorite too. I can’t wait to give this one a go in a baby cord for winter layering! The second will make a lovely school tunic ! Oh I wish I had a girl to sew this for! And will you please, oh please, consider designing adult patterns?!? What a sweet little design. I like the simpler ones best. I am so smitten with all of these fall patterns. They’re just delicious! Oh – I like view B!! Perfect! The first thing I thought when I saw this was navy blue, then I scrolled down to see just that! I can imagine it with a peter pan collar top, knee socks, and a little hand knit cardigan. Throw a beret on top, and so french chic! You’re so right about this pattern: It’s a basic pattern for any sewist regardless of the skill level. Really a must-have!!! I am so excited to get my hands on this pattern. 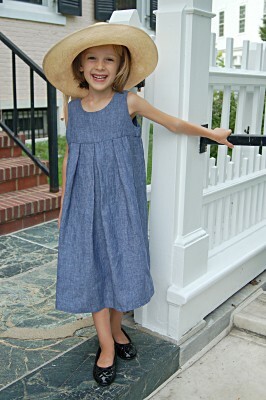 I have ideas for some cute fun ones for school and want to do it up out of red or burgandy wool for Christmas dress’s. The girls will look absolutely adorable! 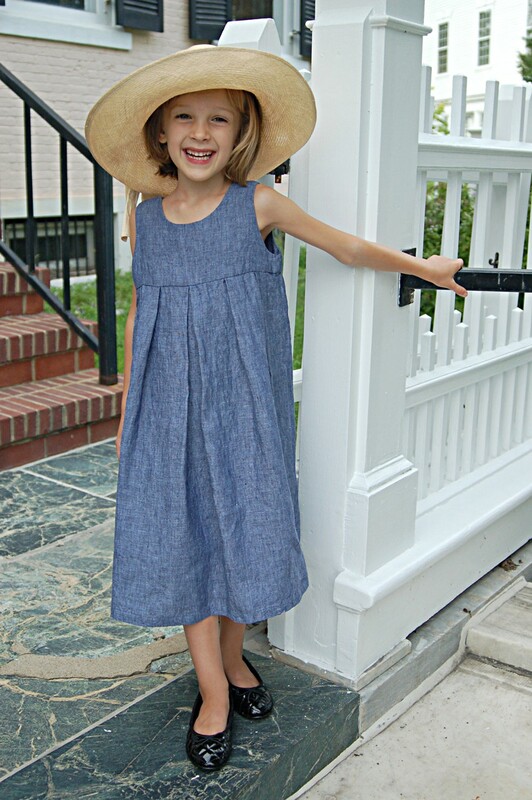 I have been so frustrated with the lack of darling dresses for girls, that I have been toying with the idea of making my own. But, now O&S have saved me in so many ways! First I am a novice sewer and this new Music Box Jumper has been just what I have been looking for and it is 1 scissor. So even I could manage this as my first foray back into sewing after a 20 year hiatus. 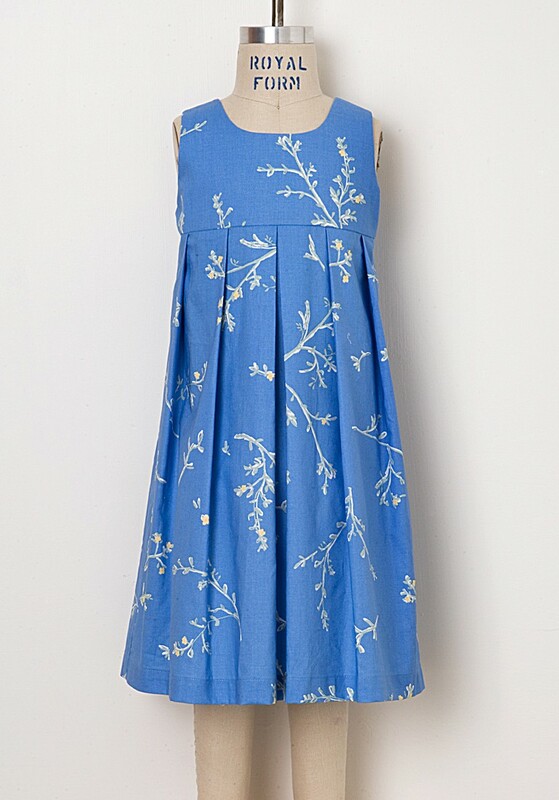 Love the website in so many ways and love, love, love the vintage, but a modern take on children’s clothes that the main retailers are missing. Thank You!!! !